When I first heard about Kate Forsyth's book Bitter Greens just before it was released here in Australia last year I was instantly intrigued! A retelling of the Rapunzel fairytale mixed in with life at the court of the Sun King, Louis XIV and Renaissance Venice - yes please! Of course, combining these three different elements could either work spectacularly or end up in a jumbled mess. Fortunately, Kate Forsyth's writing skills mean that it turns out to be a great success. The novel opens with the banishment of Charlotte-Rose de la Force whose status as a blood relative of the King is not enough to save her from banishment from his court following a series of ill advised love affairs. In addition to the affairs, Charlotte-Rose also writes about the going ons of the court anonymously and she is also known to be a fine wit, but not always for the restraint to know when to not take that step too far when lampooning the members of the court. She is also a former Huguenot, having converted to Catholicism under extreme political pressure, and in order to avoid some of the persecution that is being visited upon others of her faith. From her place in the convent, Charlotte looks back on her life from the very first time she met the King, to her life as maid in waiting in the court, the politics that surrounded her on every side, religious persecution, her love affairs and so much more. When she arrives at the convent, Charlotte-Rose is stripped of all of her belongings. Whilst she will not be forced to take her vows as a nun until she truly feels the calling to do so, her life will be austere with little to no comfort. After struggling in her new environment, one of the other nuns takes her under her wing. Sister Seraphina is the gardener and takes Charlotte-Rose out with her. Soon the two women are talking while they are gardening and Sister Seraphina begins to tell Charlotte-Rose the story of Margherita, a young girl in Venice. When her mother was in labour, she was craving salad greens and so her husband snuck into a neighbour's garden and is caught stealing. The owner, La Strega Bella, extracts a promise from the man. In exchange for not chopping of his hand for thieving, he can keep the bitter greens, but when she comes to take the child he must pay the ultimate price by giving her up. The family lives in fear of the day coming when La Strega Bella claims their lovely daughter Margherita, and when it does they try to bargain with her. Her mind is set though and Margherita is stolen from her family, placed in a convent to be educated and told that her parents never loved her. Margherita's only comfort is in singing and music and she has the voice of an angel, but even this is not to be her long term home. Once again La Strega Bella comes and this time takes the young and beautiful red-haired girl to a tall tower built on the shores of a lake. Here, Margherita is to live alone with her only company to be the monthly visit from the witch. In order to gain access, the witch requires Margherita to let down her long, long hair so that she can climb up it - she is the Rapunzel that we know from fairy tales. I love the whole story within a story concept and Forsyth is able to smoothly alternate the story between 17th century France and 16th century Venice with great skill. In due course, we get a third story too - that of the courtesan Selena Leonelli. She too is a beautiful woman who has tempestuous relationships with her lovers, most notably the artist Tiziano for whom she is a kind of muse. Now, thanks to an apprenticeship with a witch, Selena is known as La Strega Bella and she has discovered the secret of staying young and beautiful and she is determined to stay that way no matter what the cost! Whilst this story contains the bones of a familiar story - our Rapunzel is stuck in her tower by a horrible witch and we know that in due course that a handsome prince will show up to play his part (even though it is not necessarily in the way that you expect) - it is in the details that Forsyth's tale excels and in the way that the three stories combine as a whole. The story is emotionally engaging on so many levels. For example, the first time I realised how Margherita's hair got to be long enough to be used as a ladder, I gasped in horror. There is an earthiness to the story telling that is engaging - it is by turns shocking, fun, sensuous, and filled with twists and turns that keep the reader engaged from beginning to end. Whether you love fairy tale retellings, historical fiction or both, this is exceptional storytelling and I highly recommend this book! I am really looking forward to reading this author's next book! P.S Above left is the Australian cover which I loved, and on the bottom right is the gorgeous UK cover! I am seriously tempted to buy the UK version so that I have them both. 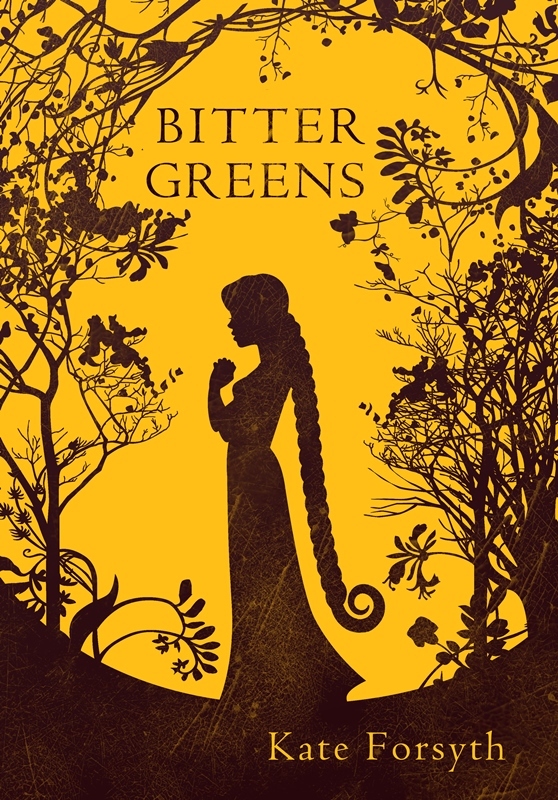 After Margherita’s father steals a handful of greens—parsley, wintercress and rapunzel—from the walled garden of the courtesan, Selena Leonelli, they give up their daughter to save him from having both hands cut off. Selena is the famous red-haired muse of the artist Tiziano, first painted by him in 1513 and still inspiring him at the time of his death, sixty-one years later. Called La Strega Bella, Selena is at the centre of Renaissance life in Venice, a world of beauty and danger, seduction and betrayal, love and superstition. Three women, three lives, three stories, braided together to create a compelling story of desire, obsession, black magic, and the redemptive power of love. I'm reading this very soon and looking forward to it, but your review's made me even more excited. It sounds much better than expected! Love what you've said about detailing. This one does sound like it encompasses a lot of different elements, and that it does it well. I am going to be looking for it after reading your fantastic review. It sounds too good to pass up, and I am enthralled! Marg, I have (and love) the Australian publication but agree the UK cover art is something special also. Great review of a wonderful title. 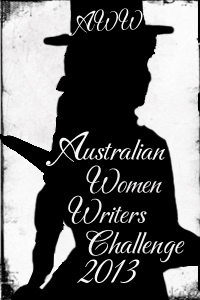 I will be starting Forsyth's upcoming Australian release The Wild Girl very shortly. I am so glad to hear you liked this one. I'll be reading it in March and I'm really looking forward to it. I am such a sucker for the stencil-looking/shadow book covers! I would totally buy the UK cover for this one. It sounds like an amazing story - great review!